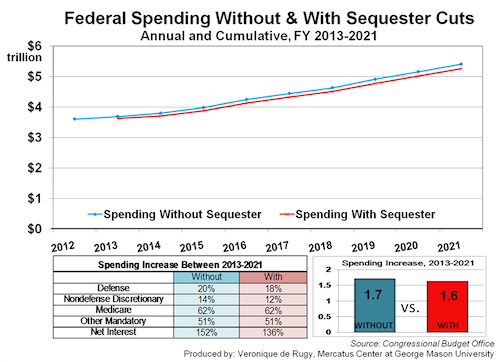 Obama and the Democrats continue to use demagoguery and fear mongering over the upcoming budget cuts, which are not really cuts at all but minute cuts in the rate of increase. Here are the latest emails they have sent me. If Republicans in Congress don’t act by Friday to stop the so-called sequester, there will be far-reaching consequences on our economy. First point; as I have explained before, it does not matter in the slightest how many people support what plan. Just because 70% or 19% or 99% support a stupid plan, it does not change the fact that the plan is stupid. Also, it is all too easy for pollsters to get the desired results by manipulating the wording of the questions asked. Second point: President Obama has never shown the slightest interest in cutting spending in any department. He has increased spending more than any other president and seems determined to raise taxes on the undeserving rich, no matter what the consequences to the faltering economy. Third point: Head Start has been shown to be ineffective over and over. If we cannot cut Head Start,or PBS, or cowboy poetry festivals, what can we cut? Fourth point; what can we cut, if according to the president the slightest cut in the rate of spending will have devestating results. 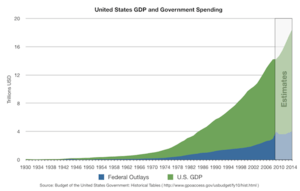 At some point we are going to have to cut spending somewhere. Where? Actually, if we just rolled spending back to 2005 we wouldn’t balance the budget, but at least the problem would be more managable. I do not think that the need for government programs has increased all that much in the last eight years, despite the continuing recessionary economy, and a decrease in the yearly deficit might serve to restore confidence in the economy and spur more investment. We could also repeal Obamacare and reform entitlements such as Social Security before we are overwhelmed by an aging population. We could encourage the production of oil and natural gas on public lands and have the government benefit through taxes from the US becoming a net exporter of energy. All of this would require leadership and hard work. It is much easier just to frighten people. This Friday is the final deadline for congressional Republicans to stop disastrous automatic spending cuts (known as the “sequester”) that will hurt everyday Americans — including you. If Congress fails to act, we’d see budget cuts pretty much across the board to critical services that teachers, first responders, seniors, children, and our men and women in uniform rely on every day. Because to do so, they’d have to close tax loopholes for millionaires and billionaires, oil companies, vacation homes, and private jet owners. I’m not kidding. It’s on each of us to speak up. Share what these budget cuts could mean to you — or someone you know — today. Congress needs to hear it. — 10,000 teachers would be laid off, $400 million would be cut from Head Start, the program that makes sure at-risk preschoolers are ready for kindergarten, and 70,000 kids would be kicked out of the early-education program completely. — The budget for firemen and other first responders to react when natural disasters strike would be cut by $35 million. — Nutrition programs that help make sure seniors don’t go hungry would be cut by $43 million. — A program that helps provide housing for the formerly homeless, including many veterans, would be shuttered, putting them at risk of going back on the street. — A number of programs that help the most vulnerable families and children would be slashed — including the Special Supplemental Nutrition Program for Women, Infants, and Children dropping 600,000 women alone. anyone in the White House knows or cares about the budget.